There’s something wonderful about winter, even if you live in a warm climate. Like bears in hibernation, we tend to slow down, stay home and relax more often in cooler weather. If you’re shopping for a home or recently purchased a home, these are the best features your new home can offer to help you enjoy cooler weather. 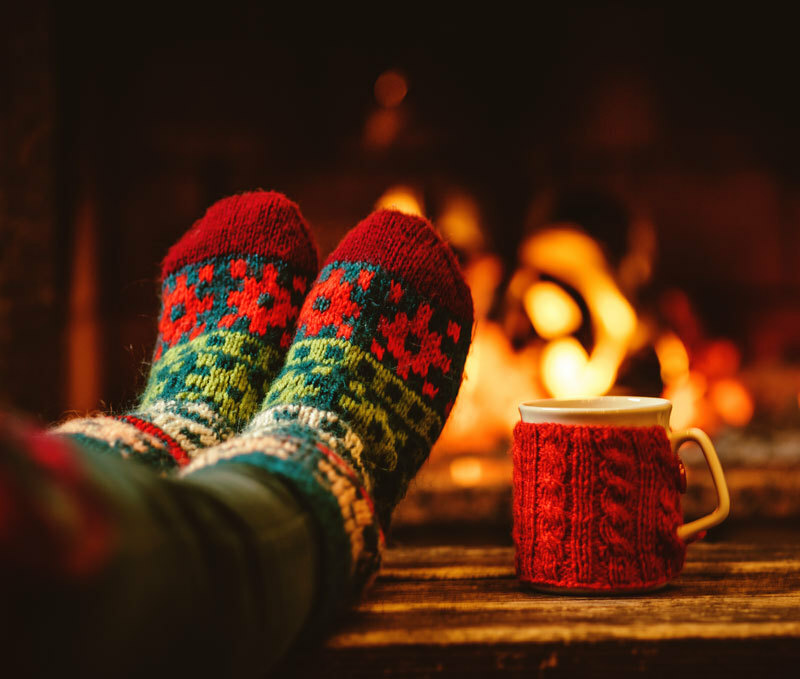 Fireplaces: Whether you have a gas, electric or wood-burning fireplace, or a firepit in the backyard, watching the flames is a great way to relax, listen to music, or cuddle under your favorite blanket with a purring cat or fluffy dog by your side. Built-ins: Bookshelves, china hutches, and window seats may seem like yesteryear, but they also add utility and character to your home. They can be updated with newer finishes but the quality of built-in woods and craftsmanship can rarely be matched today. Sitting areas: A reading nook or a small conversation area can be intimate, comfy and charming. Make it a no-electronics zone for books, sketching or needle arts. Hardwoods and rugs: Hardwood floors are warm, elegant and highly in demand. To soften the sound and protect the beauty of floors in highly trafficked areas, choose hand-knotted wool or silk rugs. They stand the test of time and you can move them around for a change. Lighting: Adjustable lighting, from three-way bulbs to lamps with arms to dimmer switches, can make relaxing more personal and comfortable. Think of all lighting as task-oriented to choose the right fixture and bulb for your needs. The holidays are here and you’re in the middle of trying to sell your home. 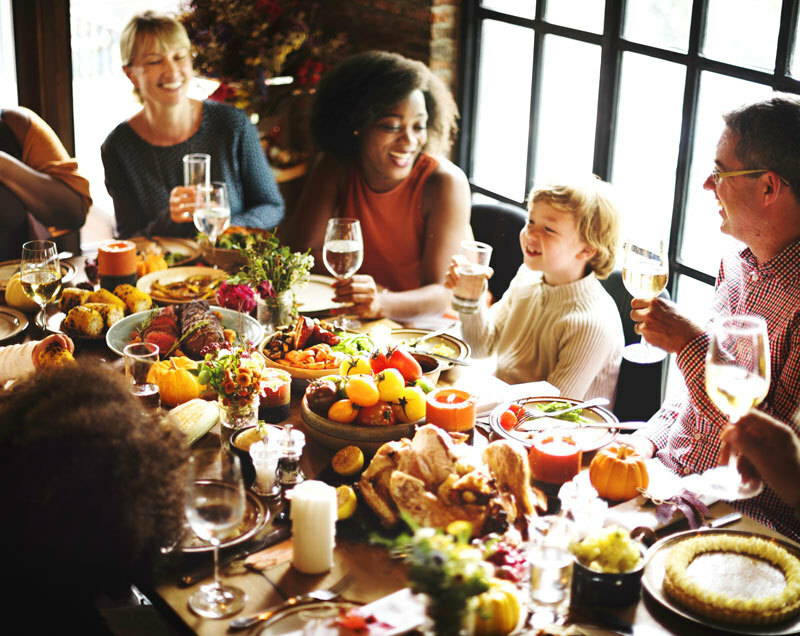 Your family is still expecting a big Thanksgiving and Christmas, so how are you going to sell your home while you do all the extra shopping, cooking, decorating and entertaining? Remember: No one should expect you to take on so much, so it’s OK to handle what you can and delegate or eliminate what you don’t want to do. Decorate just a dot. Put out a few family favorites to show how lovely your home can be for the holidays but box up the remaining decorations for the movers. If you get an offer on your home, you’ll only have a few festive things to take down and pack up. Delegate the dinner. Someone else can host the big family dinner while you bring a dish instead. You’ll have more time for decluttering and packing and keeping your home tidy for showings. Dash to a destination. This is the year to take the kids to see their grandparents, go on a ski vacation, or head to the beach for the holidays. Have fun and leave the home selling to your Berkshire Hathaway HomeServices network sales professional. As you strive to keep everyone happy during the holiday season, take time for yourself, too. Your only job should be to make showings easy for professionals to sell your home. It’s a bonus if you’ve made the holidays easier for your family, too. Landscape lighting is one of the best ways to make your home safer and more appealing. You can highlight your home’s best features and light the way to your entry for guests, all while eliminating dark hiding spots for unwelcome visitors. Step back from your home so you can see the whole house and yard in daylight and at night. Do you have elegant brickwork, bay windows or a verandah to showcase? Are there fountains, pools or other features you’d like to show at night? Is your home beautifully landscaped? Are there trees or plantings you’d like to shower with attention? How well-lit are your doors, pathways, steps and parking from the street? One benefit of pathway lighting is that it can radiate several feet. You can install solar-powered walkway lamps that are attractive and affordable. Spot lights can be put low on the ground or high on a wall, or they can hang from the eaves of your home to focus on specific features. Each light provides unique shadows and can bring architectural and landscaping features center stage. On the ground, install flood lights that shoot light up against your home, bushes or trees. Motion detectors can flood the area with light which discourages pests. 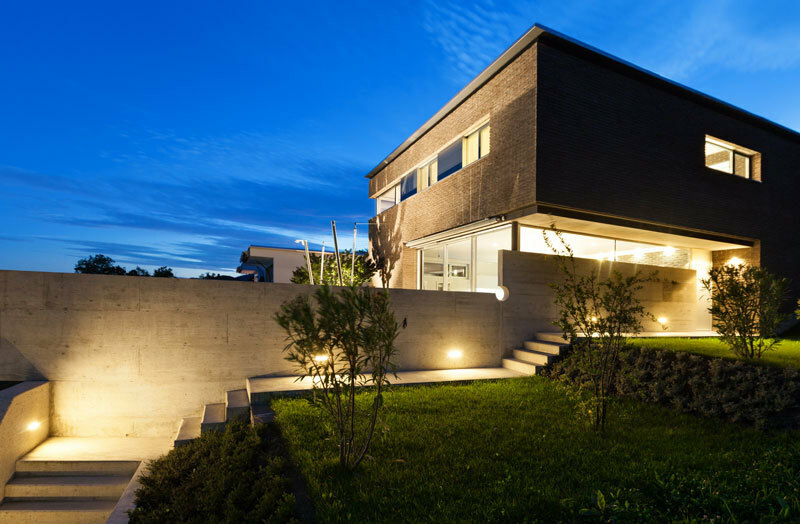 Outdoor lighting can make your home more attractive at night, but it can also make your home more attractive to future homebuyers, as a beauty and safety feature. And that’s always a good investment. If you’re buying a home in a community with a homeowners association (HOA), there are some things you need to know. 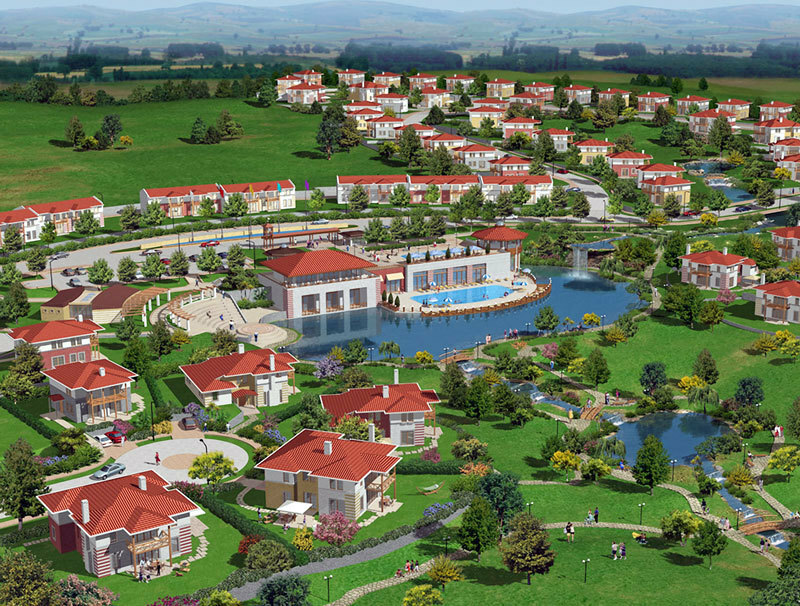 The community provides you with shared amenities and services like front yard maintenance and security patrols. The HOA board collects a monthly or annual fee to maintain those amenities, protect the integrity and safety of the community and to enhance property values for the homeowners. The main benefit of life with an HOA is that you can enjoy the amenities you want without having to pay for them by yourself. But, shared benefits means that your dues are used for two things –property maintenance and improvements and for building reserves. This can include future expenses like swimming pool resurfacing or unexpected expenses like fallen tree removal. It also means that the HOA may have some rules you may not like, such as no yard signs or flags on holidays. That’s why you need to see the governing documents of the HOA, including the CC&Rs, - covenants, conditions, and restrictions. These are the rules of esthetics, conduct, maintenance, and security the homeowners voted to have, such as how many pets you can own or whether you can park your car on the street. Keep in mind that HOA boards are composed of volunteer homeowners like yourself and that they’re not property managers. HOAs typically hire third-party property managers so board members can enjoy the community, too. You can then make the decision whether this particular community is right for you.